Just because a t-shirt has a few tiny holes in the fabric or is stretched out does not mean it is time to get rid of it. 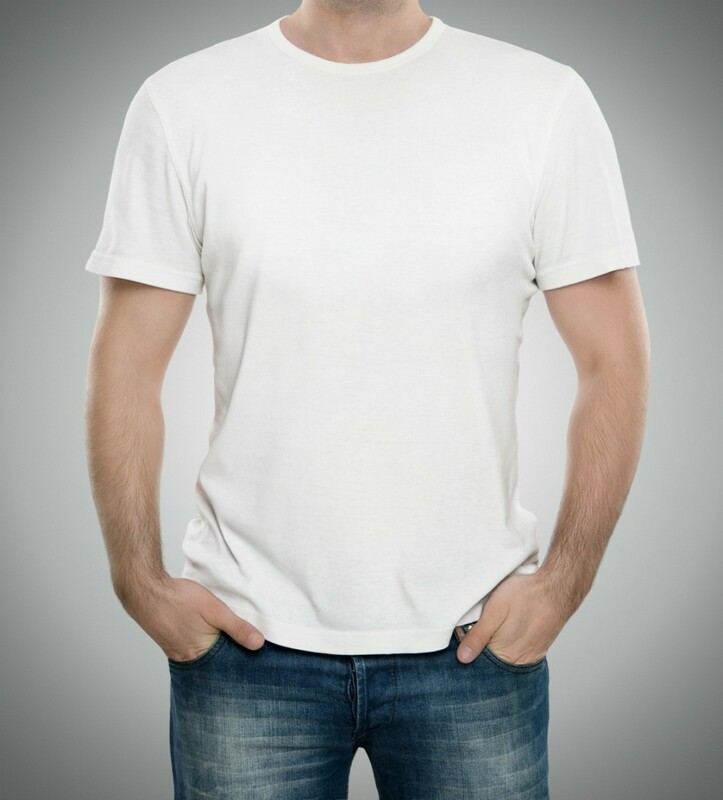 This is a guide about repairing a cotton t-shirt. I am sure I recently read a tip on how to repair or mend very small holes in T-shirts, but now I can not find it. Could someone please help? I'm desperate! Well one way I have always done it is use a little super glue on the hole, you may be able to hold the small whole together if not the glue will keep the hole from becoming larger. I myself do a very fine sewing together, almost darning on the opposite side. Also pull on the threads that may be loose to close the hole before sewing. Depends where the darn is whether or not it's really noticeable. If the other ideas don't work and the mending is noticeable, I'd use embroidery thread to either make some textured decorations in the same color as the shirt or use contrasting colors to decorate the shirt. Knit fabric generally does not mend invisibly. Go to a fabric or crafts store and purchase a small amount of iron-on interfacing, in a light weight. Tear off a very small piece, just a bit larger than the hole; iron the hole area smooth, on the wrong side, and iron the interfacing to the wrong side of the fabric over the hole, following manufacturer's directions (if there are no directions when you purchase, ask the salesperson for some). This is an almost invisible repair, and will last a long time. If it becomes a bit loose with wear simply re-iron it, or iron a slightly larger piece over the first repair, if you find the area is exposed to excessive wear. 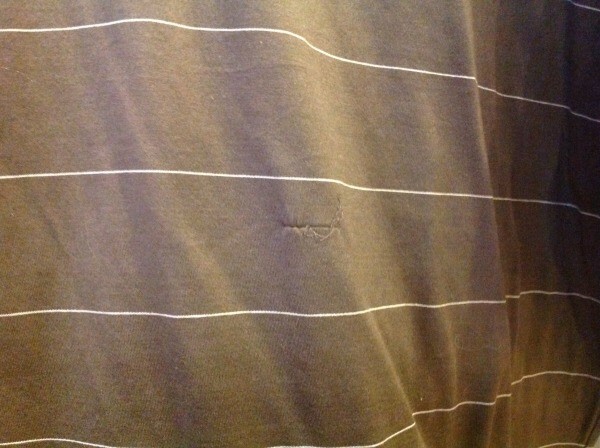 I have had t-shirts last another 10-plus years with this type of repair. Here is quick solution. You need some transparent duck-tape and a tiny tiny bit of the original fabric (you can get it from the inside of your T-shirt where the fabric is sewn together). Cut out some duck-tape (about a centimetre larger than the hole) and place it behind the hole on the inside of the T-shirt. Now place the tiny bit of original fabric in the hole on the outside of the T-shirt. You will be surprised how little you need to repair the hole invisibly. I have 100% cotton t-shirt that got its neckline stretched out, but the t-shirt is basically irreplaceable. Is there a way to hem the neckline to make it tighter that also wouldn't be too noticeable? Thanks. A couple of questions: Do you have a sewing machine, and if yes, do you know how to use it to sew knits? If yes to both questions, the solution to repairing a stretched out neck on a cotton tee is simple - go down to the nearest sewing centre (JoAnn, Hancock's, or HobbyLobby - Michael's may have this as well) and purchase the best quality pre-made packet of 'crew neck ribbing' you can afford. The thing is, there is a reason that neck became stretched out - if it happened over time with your wearings, you will be able to fix it However - either the tee-shirt is already too small so the opening is never going to be the right size no matter how many times you replace the neck ribbing, or the quality of the ribbing was poor to begin with - you'd be shocked to learn a lot of garment manufacturers use poor quality ribbing on their very expensive tee-shirts! You'll know about the original ribbing quality if replacing the ribbing solves the problem. If after replacing the ribbing, the neck stretches again after wearing a few times, the shirt is simply too small. If this is a sentimental, irreplaceable tee-shirt, you can frame it for display but you really don't want to be wearing it again. Buy some tiny fusable webbing and fusable fabric one very light and one a tiny bit more sturdy. Lay shirt inside out on a hard surface, and put parchment paper down between the layers. (You don't want to fuse the front to the back) iron the hole and try to fit the ends back together. Next cut a small piece of the webbing and fit on top then a slightly bigger of the interfacing. Put on top of that carefully not to move the hole. Then put a piece of clothing on the spray and put iron on (not moving) for about 10 to 15 seconds. Could I reshape a wide neckband of a tee shirt with this method? The top was very 'boat neck' and stretched horribly when hung to dry. I got a shirt from a sporting event. It is 100% cotton. There is a pull in the front from the drier. It is very dear to my son. Can this be repaired? That is a very bad pull, and I don't think it can be fixed, sorry! Knit fabrics like lightweight jersey aren't like thicker knits that can be fixed by gently working the pull from the front to the inside. Pulls like this one on a tee/rugby/polo-shirt are like ladders (runs) in stockings - simply can't be fixed. Covered up - yes; fixed - no. You might be able to cover it with an embroidered patch carefully (to avoid more pulls) appliqued over it - you might be able to find a needlewoman who can use a matching elasticated thread to work something in that will either hide the pull or at least make it less noticeable.